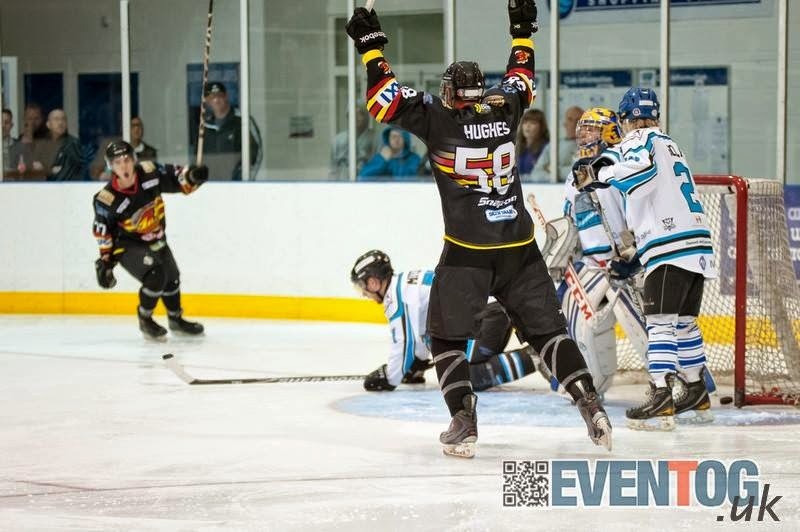 Last season’s runners up Blackburn Hawks are top of the Moralee Conference table with two wins from their first two league games following an 8-3 home win over Whitley Warriors on Sunday night. On Saturday, Hawks had travelled to Solway for an ECCN cup game – which they lost 6-4 with a depleted bench. Billingham Stars also have 4 points from their two leagues and sit in second place on goals, following their 10-1 win over Manchester Minotaurs on Sunday and 7-5 win away at Sheffield Spartans on Saturday. However defending league champions Solway Sharks have yet to play a league, having played 3 games instead in the ECCN Cup of which they have won just the one. Stars currently top the ECCN group table but there is a long way to go and none of the NIHL teams have yet faced at team from the EPL.